Small businesses are constantly on the look out for ways to cut back on costs. The Internet has made it possible for them to cut travel related costs. Video conferencing allows team members or clients to collaborate and meet virtually, regardless of where they are. It does wonders in cutting phone bills and travel costs. Here are 3 video collaboration tools that will help every SMB. Skype was initially an application that allows users to do voice calls and messaging online. Skype users could talk to each other regardless of their locations. Eventually, Skype expanded their services to include video calls and made video conferencing extremely easy. With a free account, Skype allows video calling between two users. This is very useful when you want to meet face to face with a client without the need for either party to travel. If you have a premium account, you can hold a video conference with as many as 10 individuals phoning in. That’s a board meeting right there! This is the perfect way for team members of SMB to collaborate and brainstorm on projects. In addition, Skype allows desktop sharing, where you can show other people your computer screen during the video conference. This is a great tool for presentation or demonstrating an app. It also comes in handy when you need to troubleshoot some technical issues. Instead of trying to explain the problem to other team members, you can actually show them on the screen. Google started as a search engine but has since become a giant that transforms the world. One of its latest inventions is Google Hangouts – a tool that allows people to “hang out” from anywhere. This makes a great video conferencing tool for SMB. With Google Hangouts, you can collaborate with up to 10 people at any time. Since it works on any platform, people don’t even need to be on their computers to join the video conference. They could join from their smartphones or tablets. This is great for people who travel a lot. 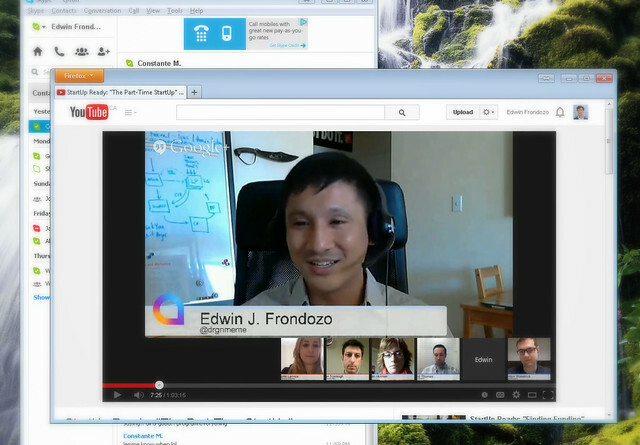 Like Skype, participants of the video conference can share files as well as their desktops. It is a great collaboration tool for small teams that work at different locations. Although not as well-known as Skype and Google, ooVoo has been in the video communication industry since 2007. This service allows users to do video conferencing with up to 12 participants. It also supports file sharing and desktop sharing, which improve the video conferencing experience greatly. What sets ooVoo apart from the other two video conferencing tools above is that you can video conference with people who have not installed the ooVoo app on their end. This could be useful for SMB that needs to collaborate with clients who are not so tech-savvy. These clients will not have to install anything on their computers before they can join a video conference. ooVoo also allows users to record the video conference session. This would give people who were not able to join the conference real-time to watch it later on.